With the impending August release of Scary Stories to Tell in the Dark from director André Øvredal and producer Guillermo del Toro, it’s safe to say that a whole new generation is about to be introduced to the haunting works of author Alvin Schwartz and illustrator Stephen Gammell. Their trilogy of collections of folk stories and spooky tales were ostensibly intended for children, but as those who grew up in the 1980s and 1990s know, they quickly took on a life of their own. Topping lists of titles banned at school libraries for the entire decade of the 1990s, Scary Stories gained an undeniable aura of mystique. Those who grew up with the illustrations of Gammell in particular are unlikely to ever forget them. Such was the inspiration behind Scary Stories, an upcoming, feature-length documentary about the original books, which will hit home video and VOD on July 16 via Wide Eye Releasing, just a few weeks before the film adaptation of Scary Stories to Tell in the Dark arrives in theaters. The documentary, directed by Cody Meirick, reportedly features more than 40 interviews, including “folklorists, artists and fans” such as fellow children’s horror author R.L. Stine, who we interviewed at Paste back in January. The documentary also includes interviews with the family of Schwartz, the author himself having passed away in 1992, only a year after the publication of Scary Stories 3: More Tales to Chill Your Bones. It seems likely that the Scary Stories documentary was originally completed some time ago, judging by the fact that a first trailer was uploaded to YouTube all the way back in 2015. The theatrical adaptation with a name like Guillermo del Toro attached, however, presumably raised its profile enough to warrant this wider release. 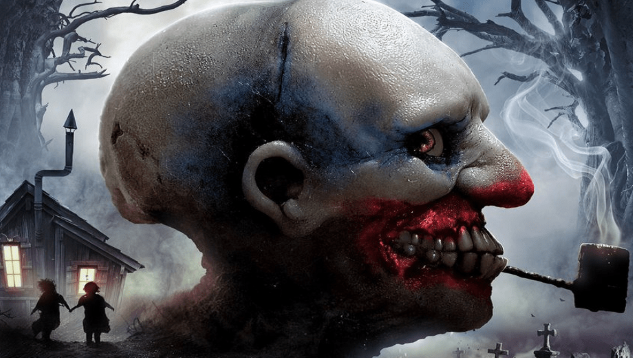 Check out the trailer for the Scary Stories documentary below, and the ultra-creepy full poster below that.